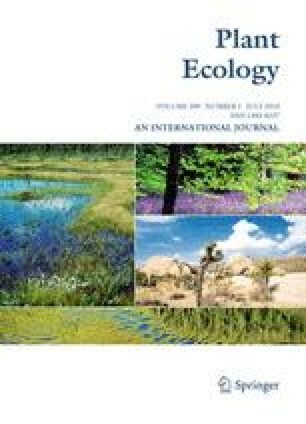 Flow and sediment regimes of floodplain rivers around the world have been changed by river regulation and land management, altering the ecological processes structuring riparian plant communities. However, the combined effects of inundation and sedimentation processes on riparian plant survival and growth are poorly understood. The separate and interactive effects of inundation duration and sedimentation depth on survival, growth and vegetative reproduction of two herbaceous clonal river bank plant species, Carex bichenoviana and Calotis scapigera, were investigated in an outdoor laboratory experiment. Plants were grown under three levels of sediment addition and two levels of inundation duration and were harvested after 60 days. Both species survived up to 30 days inundation in the absence of sediment. Growth and vegetative reproduction were increased for C. scapigera, but reduced for C. bichenoviana. Sediment deposition during periods of inundation reduced survival of both species, with C. scapigera unable to survive. Carex bichenoviana survived, but as inundation duration and depth of sediment increased, growth and vegetative reproduction were reduced. Our results indicate sediment deposition during flooding can change the tolerance of riparian plant species to inundation, reducing survival and growth. We thank Amy Jansen, Peter Fairweather and Gerry Quinn for advice and assistance with statistical analyses and Ian Lunt, David Watson and two anonymous reviewers for very helpful comments on the manuscript. We also thank David and Genavieve Mott (Berry Jerry Station) for providing access to sites to collect plant materials. This study was part of the project ‘Assessment of environmental flows for the Murrumbidgee River: developing biological indicators for assessing river flow management’, carried out by Charles Sturt University for the New South Wales Department of Land and Water Conservation and funded by the New South Wales Water Management Fund. The experiment complies with the current laws of Australia.